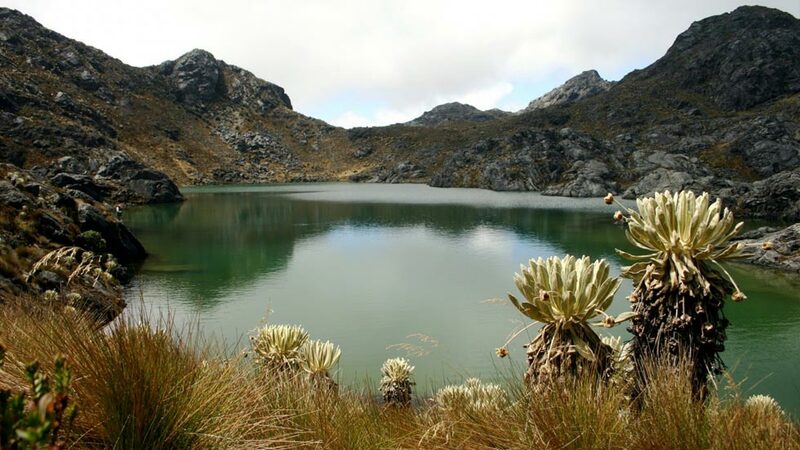 A nationally protected wilderness area in the eastern Colombian province of Norte de Santander will be increased by four fold in an effort to restrict large scale mining damages and conserve water resources. The Santurban Regional National Park will increase to 103,000 acres from its current size of around 25,000 acres, Colombian media reported Colombia’s Environment Minister, Luz Helena Sarmiento, as saying. The mountainous wilderness park ranging in altitude from 9,500 to almost 11,000 feet is reportedly being expanded in order to ensure that the vast water resources found in the enlarged area will be available for the roughly two million people living in the nearby metropolitan area of Bucaramanga. The natural area’s expansion will also prohibit large scale waste mining in the area which threatens the water supply. A handful of small scale miners will reportedly be allowed to continue mining in the area if they meet sustainability guidelines, reported El Espectador magazine. Agricultural activity in the soon to be wilderness area will also allegedly be banned including parts of the area that produce large quantities of potatoes and onions. The Ministry of Environment has assured residents of the area that no one currently residing in the area will be forced to leave, reported El Espectador. The national and local governments will now be tasked with finding alternative and ecologically friendly livelihoods for residents forced to abandon agricultural or mining activities. In the meantime out of work Colombians living in the expanded Santurban park will receive subsidies. Some large scale mining companies have already invested millions of dollars in the area which could bring legal challenges from private companies. Illegal mining is prolific in Colombia and is often associated with illegal armed groups also active in drug trafficking.